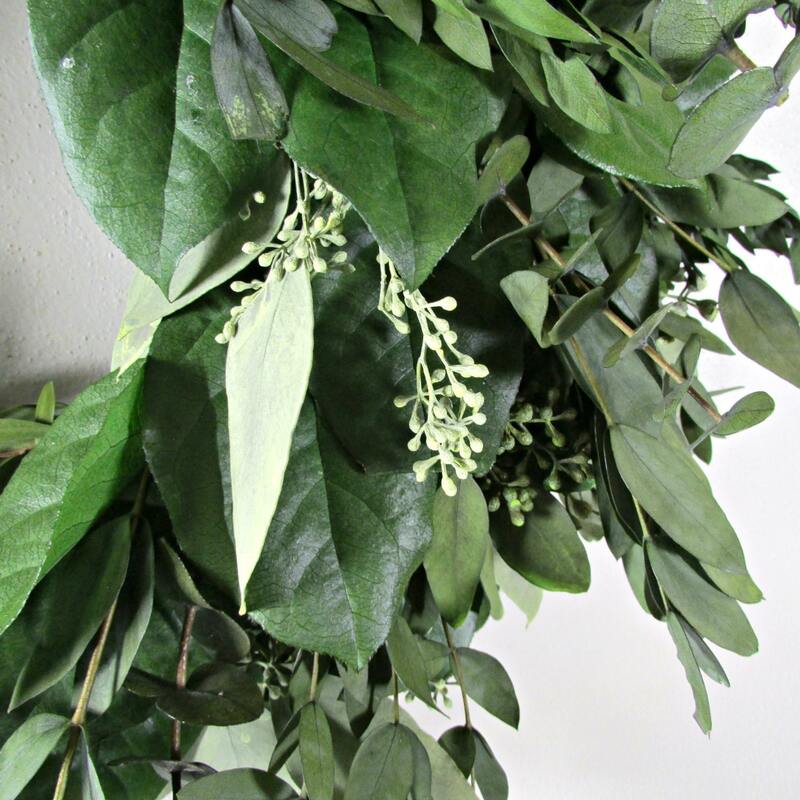 Preserved eucalyptus wreath is handmade using preserved chartreuse colored seeded eucalyptus and green colored salal leaves, willow eucalyptus, and citrus colored teardrop eucalyptus. The materials have been preserved and will stay green and fresh looking for years if kept out of direct sun. If hanging outside keep in protected area like covered porch with screen door, that has no direct sun. 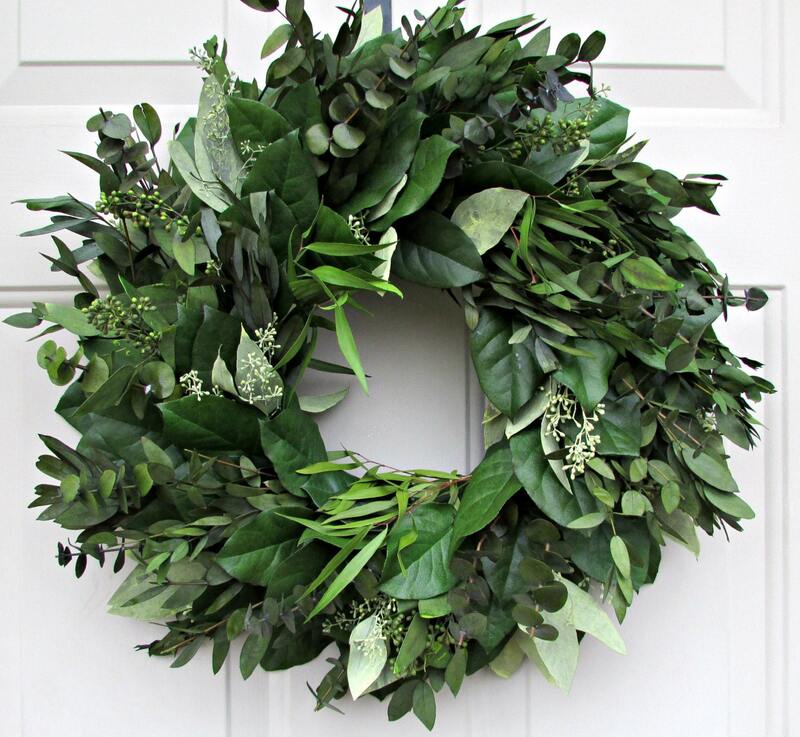 If hanging on an outside door with a storm door it is recommended that wreath is sprayed with a floral sealant. to prevent bleeding of preserved products due to condensation . I recommend super surface sealer which can be purchased online or at any craft store.